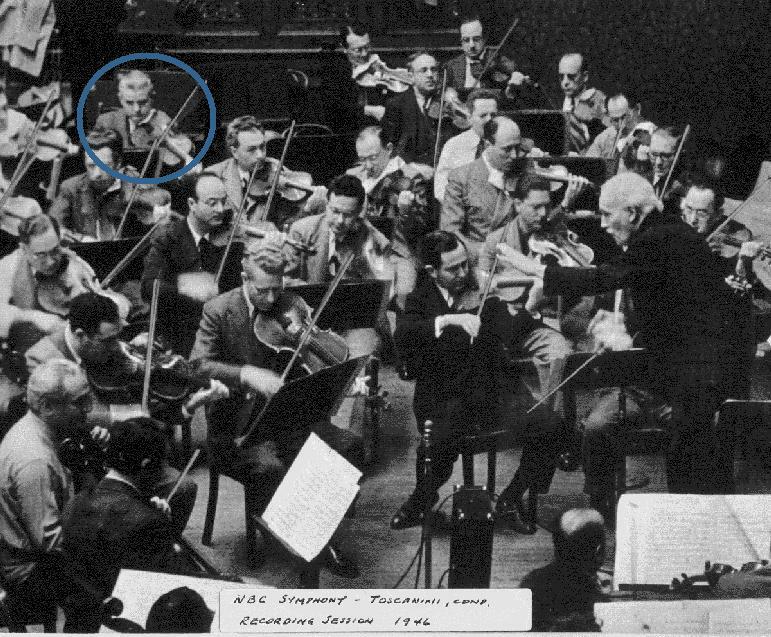 According to the label which Dad (blue circle) stuck to the picture himself, this is a 1946 recording session with the NBC Symphony, the great Arturo Toscanini conducting. There is no indication what they are playing. I have no idea why Dad is sitting so far back in the section. He played in very few orchestras in his prime where he was not on first stand. In his second stint with Chicago Symphony, he was no longer assistant principal, but in those days they rotated the players in other chairs to different places within the section. Perhaps Toscanini did something similar with the NBC Symphony.